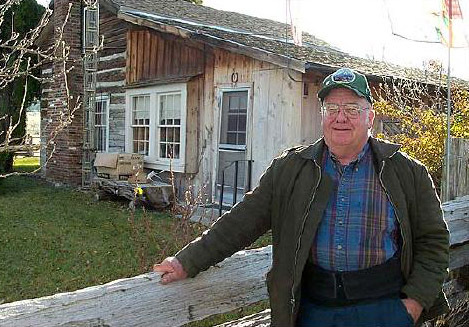 Long-time LH fan and activist Norm Root has passed away. As reported on a CaringBridge site his family set up, he was diagnosed with a terminal illness just last month. Norm was a Caltrans employee and dedicated preservationist and researcher who helped me with information and images for my Lincoln Highway books. Read more about Norm or leave a tribute at www.caringbridge.org/visit/normanroot/. UPDATE: Gloria Scott sends news that a memorial will be held at Northminster Presbyterian Church on Saturday, October 15 at 2 pm. Gifts to honor Norman may be made to: Norman Root Youth Mission and Camp Fund, Northminster Presbyterian Church, 3235 Pope Ave., Sacramento, CA 95821. Read more at www.legacy.com/. Long-distance travelers Bill and Karen post wonderful stories and photos about their 2-lane trips. The Ontario couple last drove the Lincoln Highway in 2009 and have used my books to track down every highlight and report back lots of updates. This year they picked up the LH near Downingtown, Pa., on Day 34 of their trip and traveled west to Plainfield, Illinois, by Day 50. Travel along at billstraveljournal.blogspot.com/. 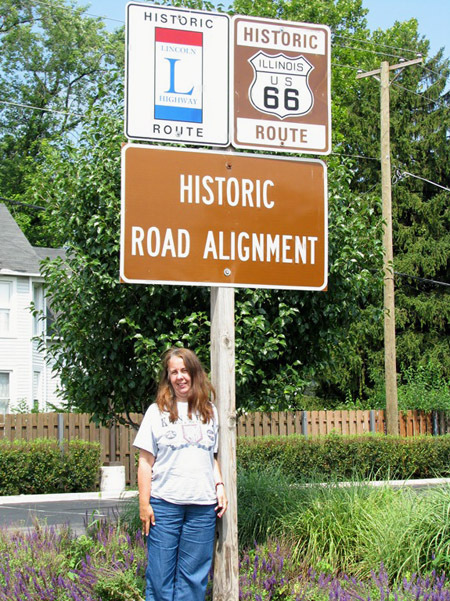 Bill writes: We concluded our Lincoln Highway road trip at the same spot in Plainfield Illinois where we started the journey on July 7, 2009. 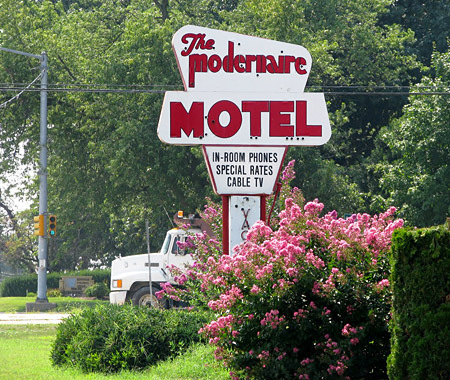 It also marks the spot where we concluded our Route 66 road trip in 2008. This spot is where the two roads share the same 3 blocks…. All we need to do now is to drive from Times Square NY to Exton PA and we will have completely driven the Lincoln Highway from beginning to end.